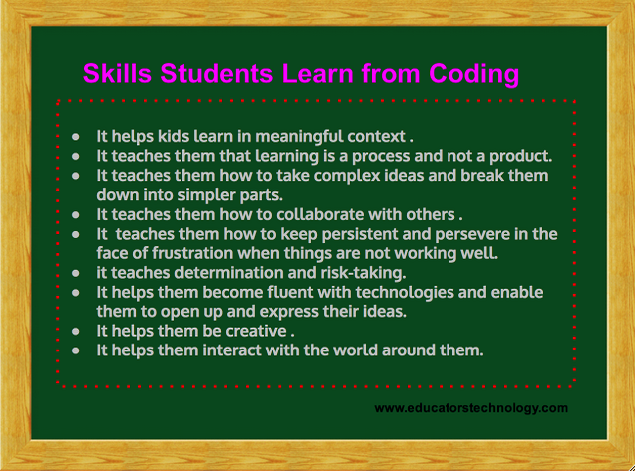 Coding is becoming an essential learning skill for the 21st century students almost as important as the basic literacy skills. Digital natives live in a digitally focused world spending a tremendous amount of their waking time interacting with their technology. 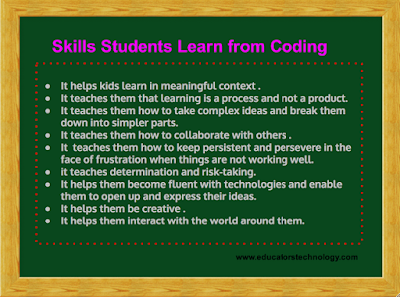 Learning to code will not only enable them to better understand their digital world and make the best of it but will also equip with them with the required habits of minds to explore, problem solve, synthesize, analyze, and learn. In his pioneering TED talk "Let's teach kids to code", Scientist Mitch Resnick made this beautiful analogy :"When kids learn to code , it enables them to learn many other things, opens up many new opportunities for learning. It's useful to make an analogy to reading and writing, when you learn to read and write it opens up opportunities for you to learn so many other things, when you learn to read you can then read to learn, which is the same thing with coding, if you learn to code you can code to learn."